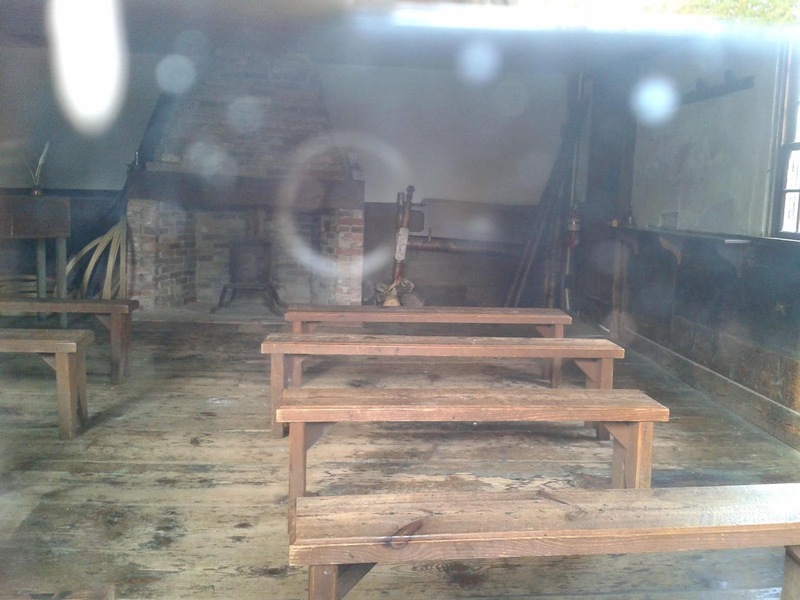 I do paranormal investigations with a group near where I live, and I attended my very first ghost hunt with them a few nights before Halloween. 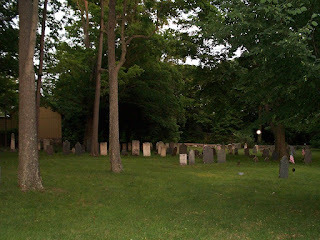 About ten of us visited Old Dunstable Cemetery where some victims of a 1702 Indian massacre are buried. 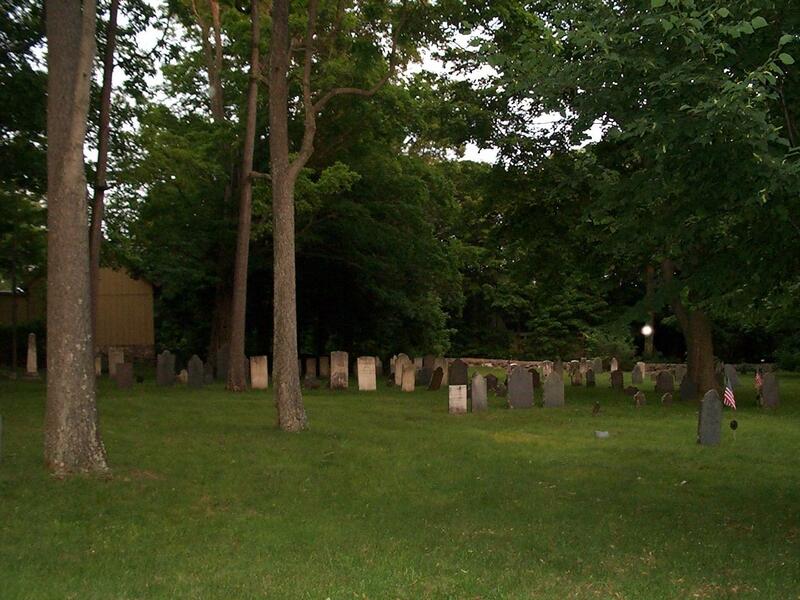 It’s the oldest cemetery in Nashua, dating back from when the land was part of Massachusetts. The earliest burial dates from 1687. Researchers had found the victims’ names, so we were able to locate their gravestones. The only equipment I had at the time were my dowsing rods and a digital camera. While others in the group made their attempts to contact spirits, I stood before a gravestone that read: this Man, with Seven more, that lies in this Grave; was Slew, All in A day, by the Indiens. Holding my rods, I asked a few questions: Did you die in the massacre? Were you born here? You can only ask simple yes or no questions and ask the rods to cross for yes and separate for no. I got answers to all my questions. I then stood before another stone reading: Rev. Thomas Weld, Born June 1653, Settled as the first minister of the church in Dunstable Dec. 1685, probably massacred by the Indians while defending the settlement June 7, 1702, age 49. All the while, I felt a strong presence, and immediately began feeling dizzy and lightheaded. I found that this happens quite frequently when I ghost hunt. I’ve never seen a ghost, but have felt presences near me, and always get dizzy when I sense someone is nearby. I took several photos throughout the cemetery, and some came out with brightly colored arcs among the tombstones. I didn’t dare visit that graveyard on Halloween night! Place everything in your blender and blend until smooth. Pour into a greased or parchment lined cake pan or a mini scone pan. Bake at 350 F for 50 minutes.